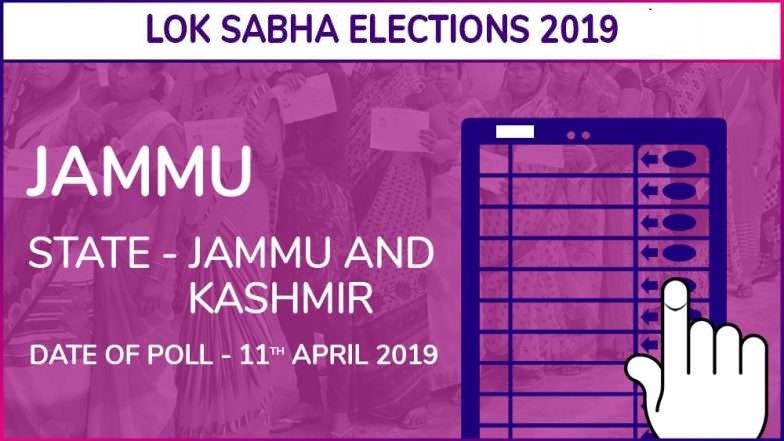 A total of 33 candidates are contesting from Jammu and Baramulla Lok Sabha constituencies, which are going to polls in the first phase on April 11, 2019. 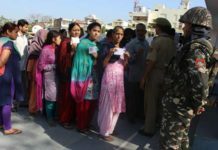 Of these candidates, 16 are Independents and the average of assets per contesting candidate is to the tune of Rs 4.32 crore. Among major parties, the average of assets per candidate for two Indian National Conference contestants is Rs 3.60 crore while as the same in respect of two BJP candidates is Rs 3.39 crore. Likewise, the average in respect of two National Panthers Party candidates is Rs 1.49 lakh while as 16 Independent candidates have average assets worth Rs 2.22 crore. The analysis of the affidavits filed before the Election Commission of India (ECI) by candidates contesting Lok Sabha elections from Jammu and Baramulla constituencies by Association for Democratic Reforms (ADR) revealed that 17 out of 33 candidates have not filed Income Tax Returns. This is notwithstanding the fact that they are in the possession of moveable and immovable assets worth crores of rupees. As per the data, Bharatiya Janata Party (BJP) candidate from Baramulla Mohd Maqbool War is the possession of Rs 1.13 crore worth assets but he has not declared ITR details in the affidavit. 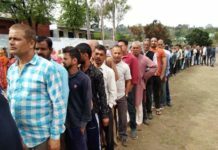 Similarly, Independent candidate from Jammu Ghulam Mustafa Chowdhary has not declared the ITR details despite having assets to the tune of Rs 1.90 crore. Sushil Kumar, Hindustan Nirman Dal candidate from Jammu Lok Sabha seat has shown his assets to the tune of Rs 1.84 crore but he has not revealed the ITR details in the affidavit. Farooq Ahmed Mir, candidate of INC from Baramulla constituency is in the possession of Rs 1.27 crore worth assets but he has not declared ITR details. Likewise, Independent candidate from Baramulla Syed Najeeb Shah Naqvi has not declared ITR details although he has disclosed assets to the tune of Rs 1 crore. The candidates who have not declared ITR details but have assets in lakhs of rupees are Engineer Rashid, Independent contestant from Baramulla, Subash Chander and Satish Poonchi, Independent candidates from Jammu Lok Sabha seat, Syed Aqib Hussain, candidate of Independent People’s Party from Jammu, Javaid Ahmed of AIFB from Jammu seat, Javid Ahmad Qureshi, Independent candidate from Baramulla seat, Mohd Younis, candidate of Jammu and Kashmir Pir Panjal Awami Party from Jammu-Poonch seat, Jahangir Khan, National Panthers Party candidate from Baramulla and Independent candidates from Jammu seat—Sakander Ahmad Nourani and Perseen Singh. 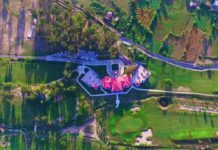 Syed Zeshan Haider and Anil Singh, who are also contesting elections from Jammu seat as Independent candidates, have reflected their assets worth thousands of rupees but without ITR details. As per the analysis of the affidavits, three candidates Haji Farooq Ahmed Mir, INC candidate from Baramulla, Sakander Ahmad Nourani, Independent candidate from Jammu and Jahangir Khan, JKNPP candidate from Baramulla have not declared their Permanent Account Number (PAN) details. How much do you know about the Dogri Folk Dances?